Carte Blanche Jeffery Deaver’s long awaited Project X James Bond novel didn’t actually arrive in the mail. I received my signed copy from publishers Hodder & Stoughton as part of my involvement in a brilliant ARG game, which culminated in me meeting Mr & the lovely Mrs. Deaver – a full mission report will be up shortly. If you read my twitter feed you know that although I was initially impressed with Sebastian Faulks Bond novel The Devil May Care as he emulated Ian Fleming but I felt that it let itself down after the halfway mark and my final verdict was that “There is only one Ian Fleming”. 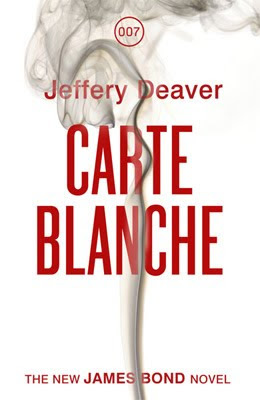 I’m looking to reading Carte Blanche as it promises to be a more modern take on the literary James Bond and South Africa is finally featured.But you may have to wait a while for a review of Carte Blanche as I am aiming to read it on my holiday. In the run up to the much anticipated 2012 release of the new Superman movie, Warner Home Video is proud to present Superman: The Motion Picture Anthology (1978-2006), released on the 13thJune 2011. Rediscover the heritage of the cultural icon and quintessential superhero, Superman, in the first five classic films. 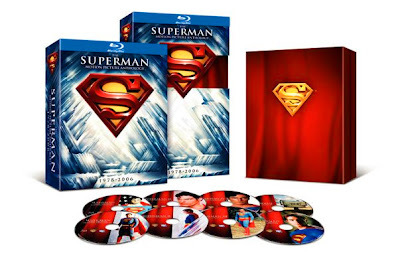 In this exciting eight disc collection, the Superman myth is depicted, from his birth on the doomed planet of Krypton to his life as a reporter in the big city of Metropolis. He discovers that hiding his superpowers as mild-mannered Clark Kent isn't easy when trying to sustain a job at the ever inquisitive Daily Planet, wooing hard-nosed Lois Lane and constantly battling with super villains across Metropolis. For the first time ever, films one to four, Superman: The Movie (Original Theatrical) Superman II (Original Theatrical) Superman III and Superman IV - The Quest For Peace, are available on high def blu-ray. The collection also includes the recent blockbuster; Superman Returns, plus Superman: the Movie (Expanded Edition) Superman II (the Director Richard Donner cut). Fans will also be treated to 20 hours of bonus features, including the never-before-seen original opening to Superman Returns, along with documentaries, deleted scenes and a ‘making of’ feature. Christine Lakin (Valentine’s Day; Race To Witch Mountain) and Tim Draxl (Swimming Upstream) star as siblings in the gory thriller, Red Canyon, in which they face the ultimate challenge: staying alive. The debut feature from director Giovanni Rodriquez, the film also stars Norman Reedus (The Walking Dead; The Boondock Saints II: All Saints Day), Justin Hartley (Smallville), Noah Fleiss, (Brick), Ankur Bhatt (Dirt) and talented newcomer, Katie Maguire. 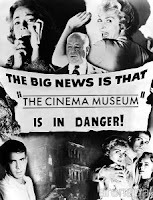 Several years after experiencing a traumatic event in their mother’s hometown, two siblings, Regina (Lakin) and Devon (Draxl), along with a few of their friends, go back to where it all occurred in order to decide whether or not to sell off their late mother’s house. Ever since the incident took place, Regina (Lakin) has experienced flashbacks of the event and is easily spooked. In order to face her fears, she returns to the nearby cave where the horror first began. Little does she know, what she discovers there will only worsen her deep-rooted terror. Red Canyon is available on DVD from 23rd May 2011. Britt Reid (Seth Rogen) is a slacker by day, party animal by night…until he finds a serious career that’s seriously cool: crime-fighting action hero. 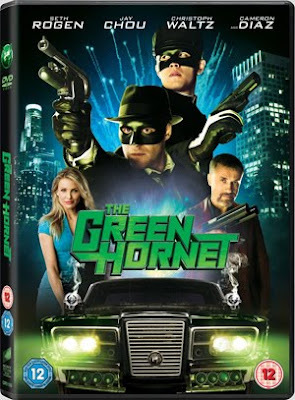 As the Green Hornet, he teams up with gadget wiz and martial arts master Kato (Jay Chou) to take down L.A.'s underworld. I'm not the biggest fan of Power-Pop (unless I was a teenager when I first heard it) and too be honest don't really get the Foo Fighters. I only rate one of their songs; Baker Street and it's a cover. 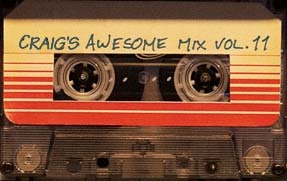 Regardless I'm going to give it a chance because it has Walk from the Thor soundtrack on it and the sticker on the front says that it was recorded in Dave's garage and should be played at maximum volume. Last year, Dave Grohl built a recording studio in his garage in San Fernando Valley and hired Nevermind producer Butch Vig to oversee Foo Fighters’ seventh album, which they recorded entirely on analogue tape. The result is Wasting Light and if the production sounds like it’s gone back-to-basics, that’s because the album has too. The big, loud, frenetic rock ‘n’ roll so loved by their fans is back, alongside bluesy ballads and memorable lyrics. 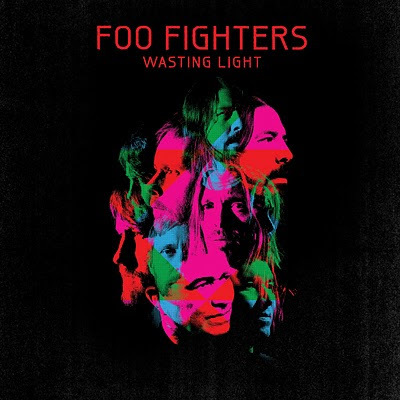 Wasting Light is a return to form for one of the biggest bands of the last 15 years.